Markham is a fast growing community with many families, and we want our auto repair service in Markham to reflect that. To do that, we put together a list of ways you can include your family in your vehicle maintenance. Why? If your family takes responsibility for maintaining your vehicle you can be confident of your safety on the road, and save money by reducing the chance of needing costly repairs. Of course, adults will be doing the research, but make your children feel included, especially those that will be driving it. If they feel that they have a real say in choosing the car then they may develop an attachment to it sooner, and be more mindful in taking care of it. Keep a notebook to record any auto repair performed on your vehicle, and save receipts too. Record where you took the car, issues and repairs, the mileage, the date, and any other relevant information. You can also jot down notes when you notice changes in your car. This detailed information may help your Markham Master Mechanic identify and repair any problems you experience. 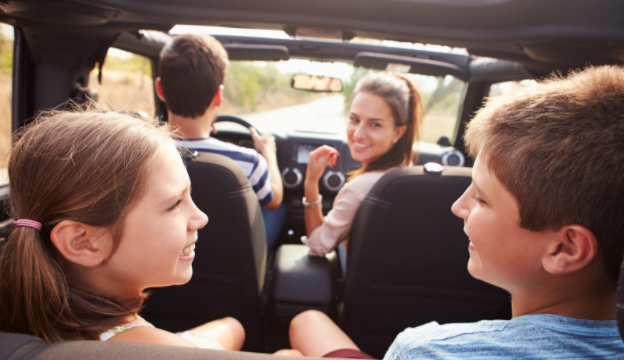 Encouraging teen drivers (or even your young passengers) to contribute their observations is a great way for them to participate in your vehicle maintenance routine. Teaching all members of the family basic car maintenance tasks can definitely be a bonding experience. Little kids love learning new things, so consider showing them how to check the family car’s oil level. It’s fairly simple but important and everyone can enjoy the fun of getting their hands a little greasy. We are auto repair experts at Master Mechanic Markham, but we’d love to see everyone in our community learn more about proper car maintenance. While teaching your kids about driving talk to them about the importance of paying attention to those lights on the dashboard, or why you’re leaving the proper gap between you and the car in front of you. There are many advantages to being chummy with your mechanic. If you bring your family to Joe Chiapponi your local Master Mechanic for auto repair in Markham, they will be comfortable in that environment later in life. Plus, we always like to get to know our customers – so, it’s a win-win. We want auto repair in the Markham community to be a family affair. We know that if you get your family involved in your car maintenance routine, they’ll be inclined to help your vehicles stay in better shape for longer. You’ll probably have some fun doing it and create meaningful memories along the way too.